Over the July 4th weekend I went on a road trip where I wasn't the driver so I figured Must Love Pets box set would make a good choice and I was right. (Yes, I know I'm extremely behind on getting this review done.) In this compilation of 7 stories has a little bit of everything. The stories range in length from short story to novella to novel. And for those that are like me that are hesitant to read animal stories - I don't care if there is a happy ending, I don't like sad animal stories - there was only one that bordered on being too sad. Overall I enjoyed all the stories and really liked being exposed to authors that I might not have picked up otherwise. 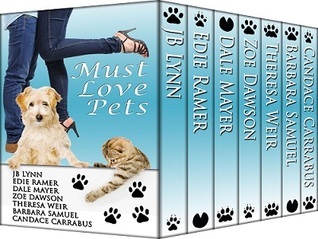 I reviewed the series because one of my favorite authors has a book in the set - The Mutt and the Matchmaker. However, I think I found a new favorite author (don't worry JB I have plenty of room on my Nook to have many favorite authors). Not sure you want all the stories in this box set? You can buy them individually, but at 99 cents it would be cheaper to buy the box set. Plus I think you will be more than entertained by the selections. 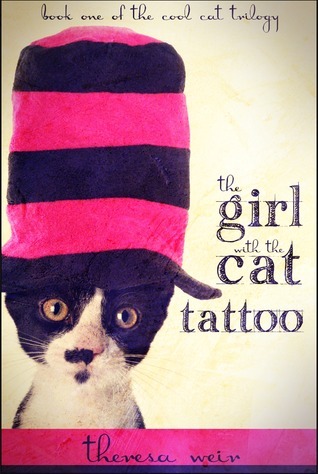 The set starts off with The Girl with the Cat Tattoo by Theresa Weir. What a great opener! Max is more than just a cat; he's very much a full character with a voice of his own. The reader's are privy to his inner thoughts. And those thoughts are pretty funny. The human characters are pretty funny too. Melody, Max's caretaker, is a widow. Her cop husband was murdered and though she is "looking" for love again, Max is less than thrilled with the one night stand losers she's been bringing home. (Max was actually her husband's cat.) So he decides to take matters into his own hands... erm, paws. He braves the big bad world beyond his fenced yard to find a man worthy of Melody. He ends up at a homeless shelter. Hilarity ensues and there's a bit of mystery and some danger. I loved Weir's writing and if I had to pick a favorite from the box set I do believe The Girl with the Cat Tattoo would be it. I'm eager to read more from Weir and do hope that it wasn't just novelty of a first time that had me loving it (I'm sure that isn't the case). If you are looking for a relaxing afternoon with a great story, I highly recommend this short story. 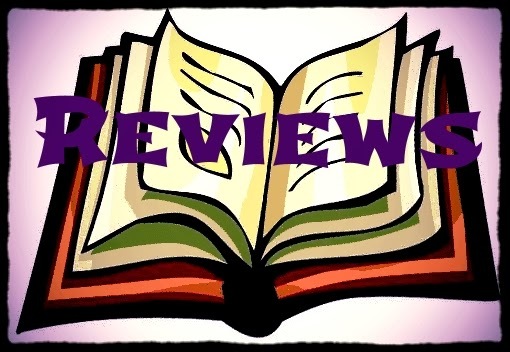 Groomed for Murder by Zoe Dawson was another great read. It had a great plot. Brooke is the owner of a high class doggie salon and one of her more high maintenance clients is not happy with the cut her spoiled rotten (and not in a good way) dog got. Will Brooke lose everything? Enter hot shot lawyer and Brooke's life just got more complicated. I feel things may have been a bit rushed for this story. The fast pace relationship gave me anxiety. I was so afraid Brooke was going to end up hurt. I'm not sure what evoked such emotion (I had to tell myself constantly she is just a character). Maybe I identified with Brooke. Or perhaps I have some hangs up still about the law student I dated, who was too slick with words for my take it at face value naivety. I found Groomed for Murder to be a bit more steamier than I like my chick-lit. I really liked the characters, but didn't love them enough to want to be between the sheets with them. There were also laughs and tears. If you are looking to run the emotional gamut with your next read, then pick up Zoe Dawson's Groomed for Murder. For those that like a bit of the supernatural with their romance, you will happy with It's a Dog's Life by Dale Mayer. I personally found it to be a bit of a let down after the first two stories. It is a novella, but there was too much abruptness to the characters and plot. I felt more like I dropped in the middle and was playing catch-up on getting to know the characters. I kind of wondered if it was part of series and for regular readers they already knew the characters. But there was also something about the character interactions that rubbed me funny. Ninna is desperate for work and though doesn't seem to really want to work with animals gets a job at the local clinic. Perks include it's within walking distance of her house (save on gas!) and a hot vet. Downside - there's a basset hound that doesn't want to leave her alone. A while the heroine of my favorite funny series embraces her ability to talk with animals, Ninna isn't too keen on the idea. There were some great moments in the story. I would have liked to have seen some more character development. The ending though was very cute. I LOVE reading chick-lit at Christmas time. I'm not sure why (as I detest reading it in February), but I always gravitate towards it. Why did I mention Christmas? 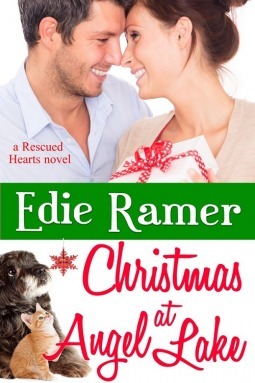 Because the next story is Christmas at Angel Lake by Edie Ramer. It read like a Lifetime Movie (I don't think it has made into a movie, though the last time I said that the book I was reading felt like a Lifetime movie, it had been turned into a Lifetime movie that I had watched the year before). I must warn you. You know how I said that often I find stories about animals being too sad even with a happy ending. Well this story bordered on being too sad. I just can't stand for animals to be sad or hurt. Thankfully it was a plot thread the story only diverted to every now and then so I got breaks from it, but still I didn't know if I could make it through. Maddie is a squatter. She didn't mean to be a squatter, but she needed a reprieve from her life. She was pregnant and after her boyfriend/father of child walked out on her she packed up the few possessions he left her with and headed to her sister's home. It's winter in the north. She swerves to miss a kitten in the road and slides into a ditch. Friendly neighbors come to her rescue and assume since she's in the drive she is renting the empty house. She doesn't dissuade them of the notion. It's only for a little while, until she can figure out her next move. Five years later the owner comes home looking for his own bit of solitude and thinking to find Maddie, her son and cat. He's a dog person! Christmas at Angel Lake is a bit dramatic and not all lovey dovey, which I actually prefer. And though I read it in July, it would make a great book to curl up with this winter. I did notice on it's Goodreads' page that it is book two in the Rescued Hearts series, but I think it is a themed series rather than a sequel. So don't worry about that. There were some rough patches where the writing could have been more polished, but overall an enjoyable read. 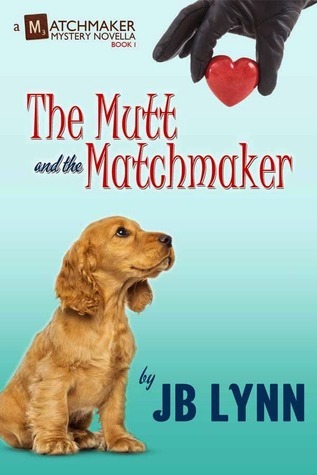 Finally the book that made me read the whole box set - The Mutt and the Matchmaker by JB Lynn. Confession, I read this short story prior to the box set coming out, but it is because it was so great that I was willing to take a chance on the others. 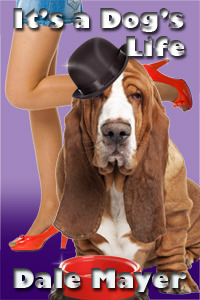 For fans of Lynn's Hitwoman series, you will recognize Armani (Maggie's scrabble tile reading psychic friend) and there is a brief appearance by Maggie's marshmellow of a dog DeeDee (she's a fierce looking Doberman with a gooey center of a much smaller dog). But otherwise, you can read this as a complete stand alone. But beware once you get a taste of Lynn's writing you will want to pick up the Hitwoman series. Armani has drawn the tiles and knows her mission. Now to get the targets of said mission together. Enter the need to borrow DeeDee. At the dog park Armani sets her sights on Tom, a PI who is helping a neighbor. Her mission set him up with one Jane Bly, dog walker. Tom has his eyes on Jane, but maybe not in the way Armani had envisioned. Seriously if you need an afternoon full a laughter, pick up The Mutt and the Matchmaker. Lynn has a way of turning ordinary life into hilarity. 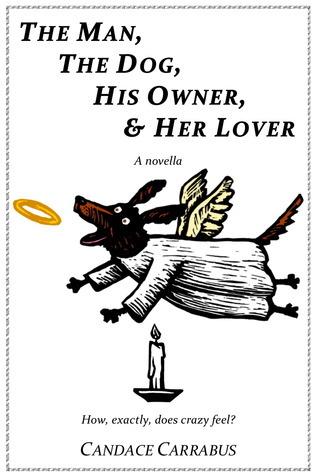 Another one for the supernatural/paranormal crowd - The Man, The Dog, His Owner, & Her Lover by Candace Carrabus. I wasn't too thrilled with the plot. It just seemed too contrived or something. Definitely rushed. Too much happened for a weekend (most of the action occurs within a weekend, but the story does span a bit more time) and perhaps too much for a novella. Stephanie lost her job, adopted a dog, she falls in love with her gardener/handyman, she's mugged and almost killed, the house catches fire, she almost dies. I think if the story had slowed down a bit, the action spread out, then I would have liked it more. It had great potential. And as most of you are aware supernatural/paranormal stories aren't my favorite anyways. So much of it was probably just being the wrong reader for the story. 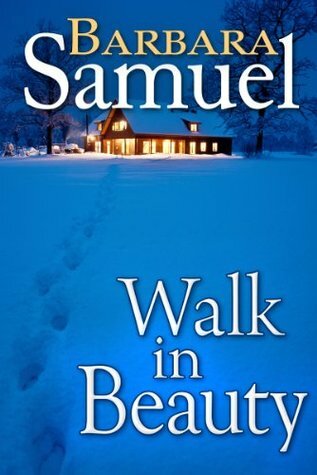 The story that probably stayed with me long after I turned the last page was Walk in Beauty by Barbara Samuel. I didn't read the entire box set over the July 4th weekend, but I did finished it up before the end of July. I was on vacation and while painting my room I found myself wondering about not only the main characters but the weavers and the community. It takes a great writer to bring as much emotional connection to a secondary character group as to the main characters. I really enjoyed that the story featured Native Americans. I don't think there are enough books that the main focus is Native Americans. Perhaps I just haven't ran across them. Luke is Navajo and has rebuilt his life. Jessie is the one who got away. Unknown to Luke, she got away with his daughter. The community of weavers are coming together to ask for better commissions. It's a major project, requiring delicate negotiations. There are some who are not happy about the project and will go to great lengths to derail it. Through a friend both Jessie and Luke are brought into the project. Can the love be rekindled? Let me tell you, I want a Luke. Not only is he good looking (he does construction for a living so you know he's toned), but he is so sweet too. Sure he has made mistakes, mistakes he regrets. He doesn't live in the past, except where music is concerned. I wonder if there is a sequel planned. I want to see Jessie and Luke's future. But I'm just as drawn to knowing how things worked out for the weavers. Did they open their galleries? Some characters just have more story to tell and to me Samuel's characters have much more to tell. Girl Who Reads is an Amazon advertising affiliate; a small fee is earned when purchases are made through the above links. A free ebook was provided for this review.